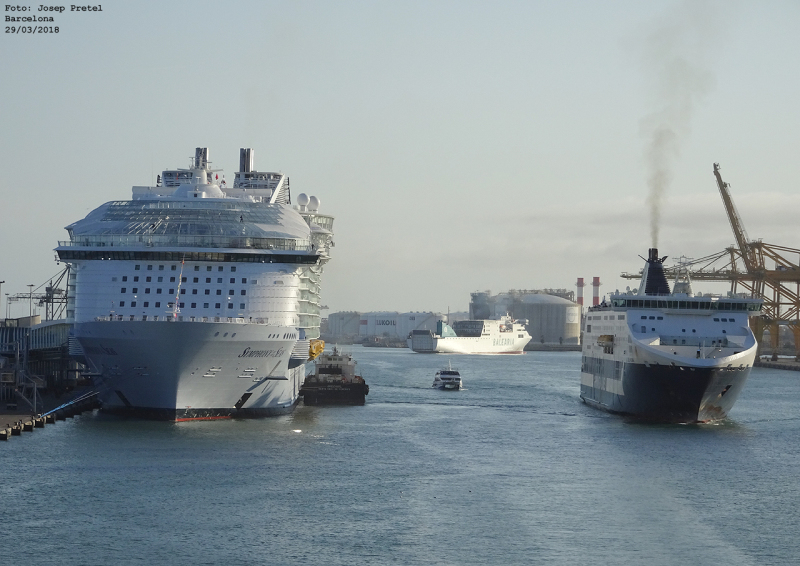 SYMPHONY OF THE SEAS bunkering with GREENOIL, and CRUISE ROMA arriving. In the background SICILIA turning. This photo has been shown 2,528 times since it was added to the site.